Amateur Radio Newsline Report Number 2134 with a release date of Friday, September 21, 2018 to follow in 5-4-3-2-1. The following is a QST. Hams assist during weather disasters in the Philippines and in the American South. The Ofcom resurrects a little-used prefix in the UK – and a beloved amateur radio retailer in the U.S. is closing its doors. All this and more as Amateur Radio Newsline Report 2134 comes your way right now. NEIL/ANCHOR: One of the year’s deadliest weather systems proved a challenge for hams as they kept communications open in the storm-wrecked Philippines. Robert Broomhead, VK3DN tells us more. ROBERT: In the northern Philippines, Typhoon Mangkhut quickly became the deadliest storm on earth this year, striking on Sept 15. The Philippine Amateur Radio Association activated for emergency communications at the National Telecommunications Commission regional office. Locally, many affiliated groups established VHF radio communications at the Emergency Operations Center in Clark Freeport. Winds were clocked at 155 km or 96 miles per hour with gusts of as much as 190 kph or 118 mph. By Monday, Mayor Victorio Palangdan of Itogon, one of the hardest-hit province towns, reported that dozens were believed killed in a landslide and that rescuers would likely not find survivors. Having destroyed homes and taken lives, the typhoon next made its way to south China. The typhoon had made its approach just as a radio communications summit on disasters was convening in Cotabato City on the 14th and 15th of September. It was attended by 500 members of ham radio clubs and civic groups and was considered an unprecedented gathering of its kind for the region. Lectures on emergency communications were being given by the Philippine Amateur Radio Association which quickly began coordinating with Humanitarian Emergency Action and Response Team as the typhoon hit. Before the storm moved on, 32,000 families were believed to have been affected in central Luzon. For Amateur Radio Newsline, I’m Robert Broomhead, VK3DN. NEIL/ANCHOR: Hams in the U.S. responded to Hurricane Florence when it struck the southern states. Important messages were carried by the VoIP Hurricane Net, as we hear from Andy Morrison, K9AWM. ANDY: When a local disaster erupted in part of eastern Massachusetts on Sept. 13th hams were at the ready. The explosion of natural gas lines set off fires in three Merrimack Valley communities and radio operators went on alert. 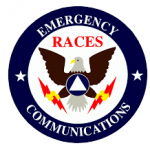 According to Robert Macedo KD1CY, the Eastern Massachusetts ARES Section Emergency Coordinator, although the hams were never called up to help since communications remained intact, it was an exercise in readiness. For Rob and many other hams, however, this quickly became a segue into a long weekend. Hundreds of miles away, at about the same time, Hurricane Florence was slamming into the Carolina coast. ANDY: That was the sound of the VoIP Hurricane Net. Rob is also director of operations for the net, which began its 35-hour activation early that same Thursday September 13. Rob was joined by net controls in Illinois, New Hampshire and Maryland and check-ins from around the world, helping pass emergency and priority traffic, as well as surface, wind and weather reports. Rob told Newsline that even after the net formally ended at 8 p.m. Friday, informal listening continued until noon Saturday. ROB: We had stations internationally on VoIP. We had people in Europe. I saw some Zulu Lima calls from New Zealand, many stations internationally were listening. We probably had, just as a rough guess, over 200 connections. ANDY: As the world listened, some rescues unfolded too. ROB: We also handled a piece of emergency traffic with a water rescue. An amateur operator in Texas had contact with a calling party in that area, not a friend or family member, but a person in New Bern, N.C., where there were many water rescues. She had water up to her waist inside her home and we called the New Bern Public Safety Authorities to let them know about the rescue. Turns out she was on the list to be rescued but they had not gotten to her yet. ANDY: The effects of Florence will be felt in the American South for some time and as Rob pointed out, hams will be ready, whether they are needed or not. For Amateur Radio Newsline Im Andy Morrison K9AWM. NEIL/ANCHOR: As North and South Carolina residents take the measure of damage left behind by Florence, the ARRL sent out a plea to hams in neighboring states asking for even more assistance. Marc Tarplee, N4UFP, section manager for South Carolina, said in a press release that South Carolina ARES was in need of additional hams to assist with disaster response and was in talks about a mutual aid agreement with the ARRL’s Alabama section. The ARRL noted that ARES has existing operating agreements with other agencies, including the Red Cross, the Salvation Army and the Federal Emergency Management Agency. DAN: There comes a time in your life when you’re kind of on top of the roller coaster and you say this may be the last ride down and you say maybe it’s time. KENT: That’s co-owner Dan Fish KB0XC who along with his wife Maline have been running Radio City in a twin cities suburb for the past 36 years. They’ve decided it is time to retire. DAN: This community has been profoundly supportive. KENT: The store was a go-to place for many local amateurs and its website even lists its location by its Maidenhead Grid Square. DAN: I learned from my customers as much as they’ve learned from me. It is rare you’re in a business that can give you that kind of feedback. KENT: Now it’s almost over. After two farewell appearances at local events on September 22nd and September 29th, the store is shutting its doors after a goodbye party on Saturday October 6th. DAN: True confession time, I live kind of vicariously through my customers anyway and I talk ham radio all day long, so I kind of have my radios off at home but it might be fun because I’ll be turning my radio on more. Its been fun. KENT: On a personal note, Maline sold me my first rig over 20 years ago. Reporting for Amateur Radio Newsline, I’m Kent Peterson, KC0DGY in Minneapolis. NEIL/ANCHOR: Nothing beats bringing back a good thing – and in the UK that means a little-used call sign prefix. Jeremy Boot, G4NJH tells us about one lucky young ham. JEREMY: If Mike Jones is feeling like one in a million “or perhaps more like one among tens of thousands ” it’s because his new call sign is M5PMJ. Mike, who is chair of the Youth Committee for the Radio Society of Great Britain, had wanted the call sign since he passed his Advanced Licence exam in August during Youngsters on the Air in South Africa. While at YOTA, he passed the 90-question exam and submitted the paperwork to Ofcom when he got back to the UK. Then the waiting began. That wait ended on September 6. Mike is believed to have received the first M5 call Ofcom has issued in 17 years. The M5 prefix was last issued between 1999 and 2001. For Amateur Radio Newsline I’m Jeremy Boot G4NJH. NEIL/ANCHOR: In Huntsville, Alabama, the stage is being set for satellite enthusiasts, as we hear from Jack Parker, W8ISH. JACK: Time is running out for registration for the 36th annual AMSAT Space Symposium in Huntsville, Alabama. This year’s gathering will be at the U.S. Space and Rocket Center and hotel accommodation will be at the Marriott next door. Organizers are asking that hams planning to attend book their stay no later than the 10th of October and if they’re staying at the hotel use the reference number M-BIHHXTA to get the group rate of $104 per night. Coming just a few weeks after the annual Huntsville Hamfest, this gathering will be held on November 2nd through 4th and will include AMSAT-North America’s annual general meeting. For Amateur Radio Newsline I’m Jack Parker, W8ISH. BREAK HERE: Time for you to identify your station. We are the Amateur Radio Newsline, heard on bulletin stations around the world including the W5JAS repeater in Jasper, Texas on Monday nights at 7:30. NEIL/ANCHOR: What are radio scouts doing? As we hear from Bill Stearns, NE4RD, they’re making big plans – and activating stations. BILL: This week in radio scouting we’re a month away from the largest scouting event in the world! Jamboree on the Air & Jamboree on the Internet is an international, fun and exciting annual experience for all young people in Scouting using the widest range of technology communication channels to educate, promote cultural awareness, develop tolerance, as well as enhance sharing, collaboration and teamwork, along with building a sense of belonging to the worldwide Scout Movement. It is a ‘travel-free’ Jamboree that takes place wherever you are in the world. This year’s JOTA-JOTI is October 19th through the 21st. For us amateurs, it’s an any band, any mode, any power, opportunity to connect the youth around the world with other Scouting units and interested parties. It’s also many’s first introduction to Amateur Radio and possibly a merit badge, a radio patch, a check mark towards advancement, and definitely a great time. This year we have almost all call areas represented with a K2BSA callsign reservation. Joseph Rohr, K2RPH, will be activating K2BSA/2 from Estell Manor Park in Mays Landing, NJ. Shawn Wolfe, W8SJW, will be activating K2BSA/3 from Camp Potomac in Oldtown, MD. Paul Trotter, AA4ZZ, will be activating K2BSA/4 from the Troop 49 Scout Barn in Charlotte, NC. Michael Reitz, W5EVT, will be activating K2BSA/5 from Conner Pavillion, Lake Park on Lake Lewisville in Lewisville, TX. Chris Clark, W6CBC, will be activating K2BSA/6 from Camp Emerson in Idyllwild, CA. Thomas Bingham, KC9KOA, will be activating K2BSA/9 from Potato Creek State Park in North Liberty, IN. Notably missing are call areas 0 and 7. So, if you’re interested in using the K2BSA callsign from those calling areas, register on our website. If your station will be on the air, whether you have scouts attending or not, and will be actively participating in JOTA, then please register on the JOTA-JOTI site or our short cut of jota2018.k2bsa.net. There are 200 stations in the U.S. currently registered, so if you are looking to volunteer, search the list and find a location near you. For more information on JOTA or Radio Scouting please visit our website at k2bsa.net. NEIL/ANCHOR: A group of YLs plans to honor 2 submarines lost in World War Two and is looking for even more YLs to join them. Here’s Heather Embee, KB3TZD. HEATHER: The USS Batfish Amateur Radio Club is getting ready to welcome a group of YLs on board the submarine in Oklahoma to call CQ as WW2SUB in October. The YLs will be honoring the USS Wahoo and the USS Dorado which are among the 52 U.S. submarines lost during the Second World War. The lost subs are being honored by the Batfish’s amateur club. The YLs will be operating from Oct. 12th through the 14th, even sleeping on board and experiencing life on the submarine, which now houses an exhibit that honors military veterans and is permanently kept in Muskogee, Oklahoma’s War Memorial Park. The YLs aren’t just looking for contacts and QSL cards -they’re also in search of other YLs who’d like to join them on the air. Michelle Carey, W5MQC said that any YL who wants to join the operation that weekend should send an email to her at w 5 m q c at yahoo dot com (w5mqc@yahoo.com). Michelle said that the YLs will most likely be operating on 20 and 40 meters  mostly SSB. According to club trustee Wade Harris KF5IF, although YLs have operated from the Batfish before, this is the first time for a group of YLs to do so as a formal event. The weekend operation is being done under the auspices of the Young Ladies Radio League, the YLRL, where Michelle is District 5 representative, but any YL can participate regardless of whether she is a member of the league or not. Michelle also noted that any YL who does not yet have her license but is interested in experiencing what it’s like to be on the air can also stop by and receive some guidance from a licensee. For Amateur Radio Newsline I’m Heather Embee, KB3TZD. NEIL/ANCHOR: In this week’s world of DX, Pista, HA5AO will be active as 3DA0AO from Swaziland through the 28th of September. He will operate mostly CW, RTTY and FT 8 on 80 through 10 meters. QSL via OQRS or via his home call. The complete log will be uploaded to LotW six months after the Dxpedition. Bill, G0CXF is active from the Camotes Islands in the Philippines as DU7/G0CXF for the next six months. He is operating on SSB and PSK mainly on 80, 40, 20 and 6 meters and looking for contacts into Europe, the U.S., Canada and Australia. Check QRZ.com for QSL details. A team including Hans HB9BXE, Nicola I0SNY and Elvira IV3FSG will be operating as H88X from Panama from the 24th of September to the 9th of October. They will operate SSB, CW and digital modes on various bands. QSL via I0SNY (direct) or 9A5URI (bureau). NEIL/ANCHOR: Our final story comes to us from New Zealand. It’s about amateur radio contact with cars – but this has nothing to do with operating mobile. Jim Meachen, ZL2BHF explains. JIM: Any ham who’s ever chased a rare DX or tried for a special event in a pileup knows the frustration of the QSO that got away – but have you ever considered all those contacts you never wanted in the first place? That’s what happened recently on 434.050 MHz in New Zealand where a repeater transmitting on that frequency turned up some unintended contacts. Not far away from the repeater, motorists in the business district of Invercargill discovered one morning they were unable to get into their locked cars. The vehicles had been secured with keyless entry fobs so common these days with newer cars remotes that operate by short-range radio transmission. One local auto dealer was quoted on the website, The Stuff, as saying that people had begun coming in for replacements for their car remotes, believing their devices had malfunctioned. After local police contacted the Radio Spectrum Management compliance office of the Ministry of Business Innovation and Employment, an investigation determined that the culprit was a repeater registered to amateur radio operator Daniel Erickson, ZL4DE. The news report on the website noted that the repeater was allocated the transmit frequency of 434.050 MHz in its license but, as it turns out, so are the car remotes. According to the RSM compliance manager Fadia Mudafar, hams have primary use of the frequency range between 433.050 and 434.920 MHz the same frequency range as the car remotes, which are approved for short-range secondary use. The result? Unwanted QSOs with the cars. Well, the repeater has gone off the air for now until a solution can be worked out and soon enough, everyone should be back in the driver’s seat. For Amateur Radio Newsline I’m Jim Meachen, ZL2BHF. NEWSCAST CLOSE: With thanks to Alan Labs; Amateur News Weekly; the ARRL; the Associated Press; CQ Magazine; Darryl Paule, KI6MSP; Hap Holly and the Rain Report; KMSP Television; Ohio-Penn DX Bulletin; the Philippine Information Agency; QST Magazine; Southgate Amateur Radio News; Ted Randall’s QSO Radio Show; Wireless Institute of Australia; WTWW Shortwave; and you our listeners, that’s all from the Amateur Radio Newsline. Please send emails to our address at newsline@arnewsline.org. More information is available at Amateur Radio Newsline’s only official website at www.arnewsline.org. For now, with Caryn Eve Murray, KD2GUT, at the news desk in New York, and our news team worldwide, I’m Neil Rapp, WB9VPG in Bloomington, Indiana saying 73 and as always we thank you for listening. Be the first to comment on "Amateur Radio Newsline Report 2134 for Friday, September 21, 2018"